Mind-blindness is essentially the opposite of empathy and can be described as “an inability to develop an awareness of what is in the mind of another person.” Generally speaking, children with mind-blindness are delayed in developing a “theory of mind,” which normally allows developing children to “put themselves into someone else's shoes” (i.e., to imagine the thoughts and feelings of others). Thus, kids with AS and HFA often cannot conceptualize, understand, or predict emotional states in other people. Alexithymia creates interpersonal problems because these children and teens avoid emotionally close relationships, or if they do form relationships with others, they tend to position themselves as either dependent, dominant, or impersonal (such that the relationship remains superficial). Alexithymia also occurs in people with traumatic brain injury. A second issue related to alexithymia involves the inability to identify and modulate strong emotions (e.g., sadness or anger), which leaves the child prone to sudden affective outbursts such as crying or rage (i.e., meltdowns). The inability to express feelings using words may also predispose the child to use physical acts to articulate the mood and release the emotional energy. Aspergers children and teens report a feeling of being unwillingly detached from the world around them. As adults, they may have difficulty finding a life partner or getting married due to poor social skills. The complexity and inconsistency of the social world can pose an extreme challenge for children and teens on the autism spectrum. It is unclear what causes alexithymia, though several theories have been proposed. There is evidence both for a genetic basis (i.e., some people are predisposed to develop alexithymia), as well as for environmental causes. Although environmental, neurological, and genetic factors are each involved, the role of genetic and environmental factors for developing alexithymia is still unclear. AS and HFA children and teens can learn to compensate for mindblindness and alexithymia with the parent’s help and a lifetime of constant counseling by therapists who specialize in Aspergers. With good help, these young people can grow up to lead nearly normal lives. 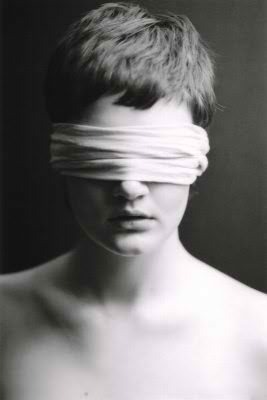 Every human behavior has a reason behind it, even if I don’t see it. Most people usually talk about the things they want, and openly say what they believe. Some people are so messed up that it is just not possible to figure them out. Know when to give up. When somebody’s behavior flies in the face of logic, concentrate on that person’s feelings. Women talk more than men and focus on feelings more. But, how does a parent do that when their child isn’t motivated to do so because they don’t realize there’s a need? 1. Constantly explain people’s states of mind to the child and what they mean until he learns to figure them out on his own. This means explaining the wants, needs, and beliefs that drive human behavior and the reasons behind all the unwritten rules that are part of human relationships. 2. Convince her child that he can and will make a success of life, as many other people with the disorder have. You must explain the states of mind of these people and why they do what they do – over and over. 3. Explain before punishing. If you punish a child for doing “behavior A,” all that he is going to learn is that if he does “behavior A” again, he is going to be punished again. He will not understand why he should not do “behavior A” in the first place. 4. Explain his challenges and that he is in a state of confusion without being aware of it. 5. Explain his own needs to him. It is only when he understands what he wants himself that he will have a basis for understanding that others also have wants, and that peoples’ wants are what makes them behave the way they do. 6. Explain how each person feels about the world and about his own life. 7. Explain that every person has a different set of values and that their behavior is driven by these values. 8. Explain that he should ask you questions about things he doesn’t understand. 9. Explain why you explain things to him. 10. Explain your own state of mind and emotions constantly. 11. Protect her child from the cruelty of bullies. Some people are not going to pass up the opportunity to treat him badly. You should explain that this is going to happen, and that he should not feel ashamed to go to you for support. 12. Teach the child to make sense of the world by himself (eventually). It is this constant explaining by parents – and counseling by therapists – over years and years of living, repeated over and over again, that eventually will help the AS or HFA individual break through the bonds of mindblindness and alexithymia. You child WILL learn to handle life successfully, on his own. Don’t give up – keep trying and get others to help you.